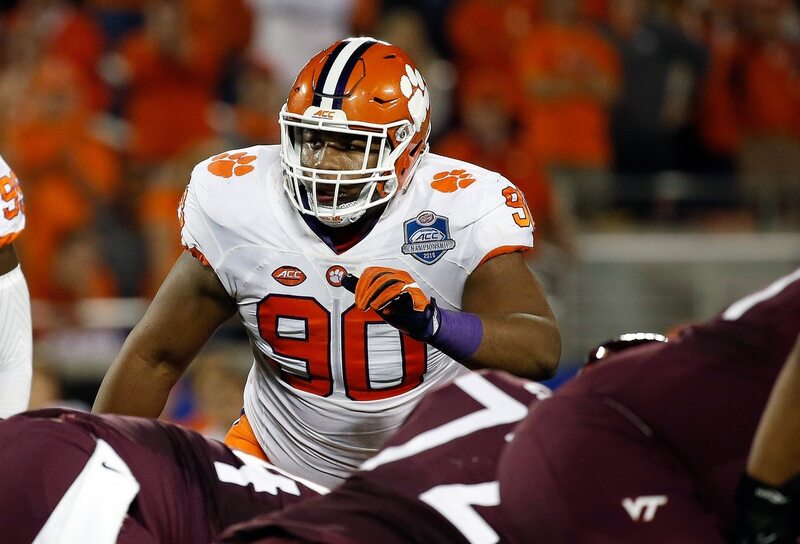 Clemson defensive tackle Dexter Lawrence is reportedly sliding down boards around the league ahead of the 2019 NFL Draft. Matt Miller of Bleacher Report noted Friday that some scouts are not high on Lawrence’s talent as it translates to the NFL game. Lawrence recently was suspended for PEDs and missed the Tigers’ two playoff games, which is one reason his stock is tumbling. The 6-foot-4, 340-pounder plays the nose tackle position, which Miller notes is “becoming extinct” in today’s NFL. Declining stock, declining stats: Once seen as a top-tier NFL draft prospect, Lawrence’s production slipped while at Clemson. Following a freshman campaign that saw him rack up 62 tackles, including 8.5 for a loss and 6.5 sacks, Lawrence managed a combined 69 tackles, 9.5 for a loss and 3.5 sacks in his final two years at Clemson. Our verdict: Miller’s scouting contacts seem to be stating the obvious. Run stuffers are valuable, but as we’ve seen in today’s NFL it’s more imperative to stop the passing game than anything else. Clemson was dominant on defense during the CFB Playoff without Lawrence, bolstering the notion he was overrated to begin with. Look for Lawrence to be a Day 2 pick, at best, during the 2019 NFL Draft.